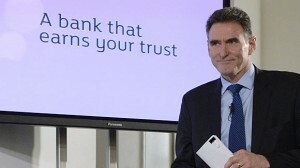 Royal Bank of Scotland is, once again, discovering that it is unable to operate above the law. On Friday, a U.S. judge ordered the Edinburgh-based bank to stop using a software program that underpins its trade finance division, after finding the bank had been infringing the system’s copyright for six years. U.S. District Judge Katherine Forrest imposed a permanent injunction on RBS, requiring it to completely stop using the BankTrade software within a year, and not to use the software to process any new transactions from July.